Phantom Thread, by auteur Paul Thomas Anderson, is a contemplative character study where one’s reaction to the material will largely depend upon whose perspective you see the film from. Set in the 1950s’ post-war London, Phantom Thread is the invisible thread that stitches the lives of the renowned but obsessively fastidious and charismatic dress designer – Reynolds Woodcock (Daniel Day Lewis), his sister Cyril (Lesley Manville) who manages the day-to-day affairs of his luxury fashion house and Alma Elison (Vicky Krieps) – a waitress who becomes his muse and later love interest. The film is about the inner dynamics of their relationship – the struggle that naturally takes place between the trio – the give and take that is necessary for their existence. It reveals the unseen thread that weaves society and tradition with an individual’s desires and ambitions. The canvas on which Anderson paints the most interesting facet of Phantom Thread draws no obvious correlations to the fashion scene of 1950s’ London and that makes the film ultimately so fascinating. Nevertheless, while exploring a lot of themes in such subtle and slight fashion for the majority of its runtime, it is hard not to roll your eyes a little bit. The players and their personalities are established immediately – at least the sense of who they are and what their ultimate happiness or place of peace is, but the direction in which these personalities take the narrative forward is largely ambiguous and therefore all the more enticing. It indeed is an indulgent film, which attempts to tackle what isn’t tangible and real. For some, this would mean boring as it contains no plot in the traditional sense. But for the curious lot, the more specific the narrative becomes, the more precisely it will hit individual viewers. But the highlights of the film are the ladies. Manville, as the jealous and protective Cyril with matriarchal traits, is interestingly intriguing. Krieps delivers a wonderfully subtle performance as Alma. She is simple and alluring at the same time. She brings out her character’s unconventional approach in a naturally charming manner that you relate to her. Apart from the performances of the ace cast, it is the work of the costume designer Mark Bridges that takes centrestage. The outfits here are used both as a prop and as costumes to dress the actors. They seamlessly mesh with Mark Tildesley’s production designs, They exhibit the era to perfection. And this is all captured astutely by the cinematographer whose visual frames are atmospheric and natural. The piano is effectively used to highlight Jonny Greenwood’s elegant and intimidating score which lingers in every frame of the film. 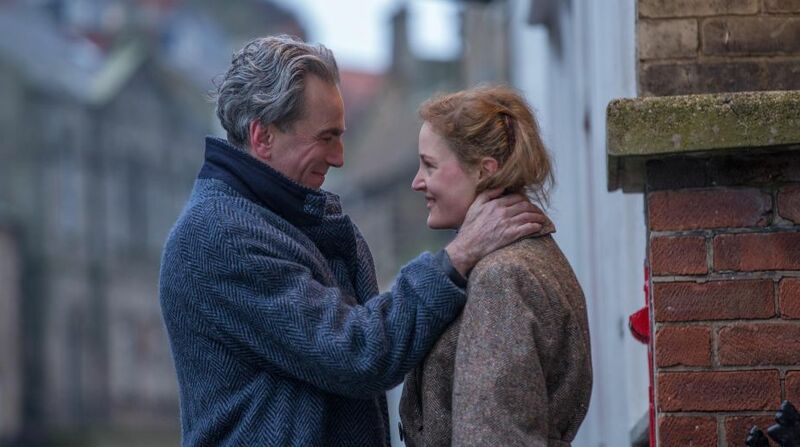 Overall, Phantom Thread is a subtly layered romantic melodrama that would appeal to a few.